In spite of stories about elusive Tinder marriages, there are no hard statistics on how many matches actually meet up in real life and even have a good time, much less get laid or find amore. Certainly some Tinderers have better odds because they’re more photogenic, good at chatting via emoji and actually pro-social enough to show up for a drink with a complete stranger who has described themselves as “living their best life.” But since most of us have no intention of meeting most of the matches we ever make, 20-year old Maggie Archer, who has infuriated the internet after scamming all her Tinder matches out of $5 apiece, is actually a civil servant. 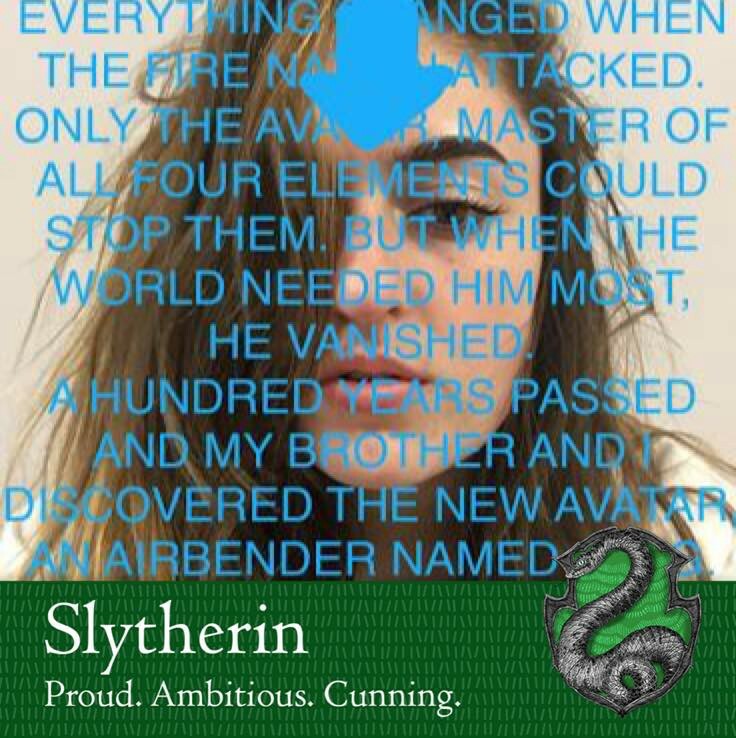 Here’s what Archer did: She set up a Tinder profile of herself, an alluring college student, Buzzfeed reported. She put the message, “Send me $5, see what happens” in her Tinder bio. She matched with a lot of men who were apparently very intrigued by this suspiciously low but seemingly fun-loving offer, and messaged her to find out what, exactly, $5 could net them in a world where Tinder is free and love is abundant and we’re all just fumbling toward ecstasy, at least if we can edit out the ex in our best photo. Her answer: “Send it and find out,” directing them to her PayPal account. 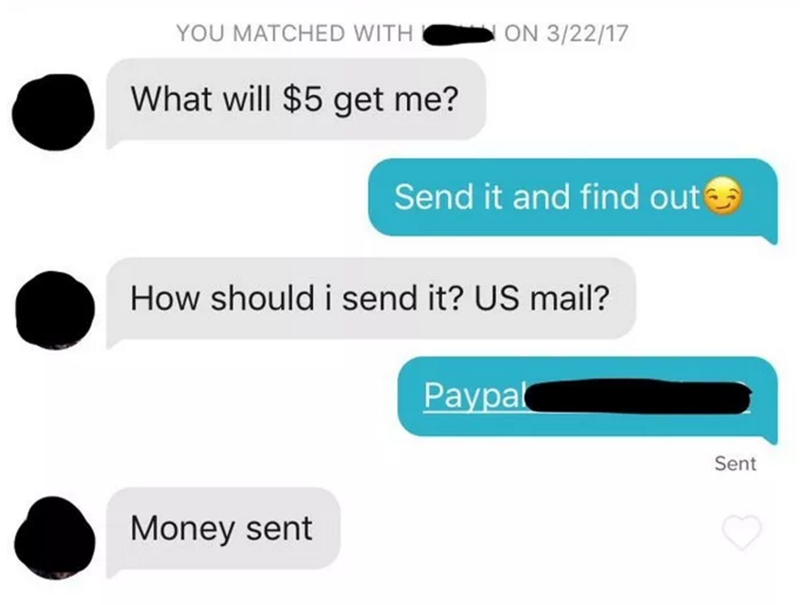 Get this, though: Once they sent the money, she immediately unmatched them. The rest is apoplectic internet history. “It’s really a foolproof plan, because I’m not actually promising anything, I just say ‘see what happens,’” Archer told BuzzFeed. Archer said about one in five men sent the money, and in total, she got money from over 20 matches in less than a week, meaning she netted $100 — not exactly a month’s rent. Tinder told Buzzfeed that Archer had been banned from the app since the news broke, as requesting money violates its terms of service. But let’s talk straight here: Tinder may claim to have made “8 billion” matches and boast 50 million users worldwide, but what does that even mean? Men outnumber women 55 to 45 percent on the app, and nearly half of its users are actually married or committed to someone else. The majority of people say they never even message their Tinder matches. One Reddit poll on the subject of how many people actually meet their matches — wildly anecdotal, to be clear — revealed users who say they meet up with one out of every 50 matches. Another user said they met up with three (out of 100). All this is to say that $5 up front for the knowledge you’ll never meet means Archer has offered a great deal here—while also underscoring the absurdity that dating apps have become. You’ve already signed up for something that hardly ever pays off: low risk for a big reward. Them’s lottery odds, friends. Five bucks is a bargain.